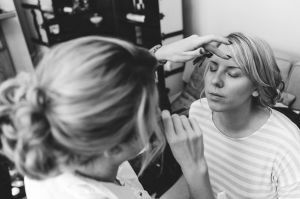 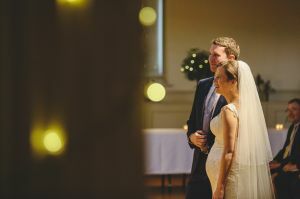 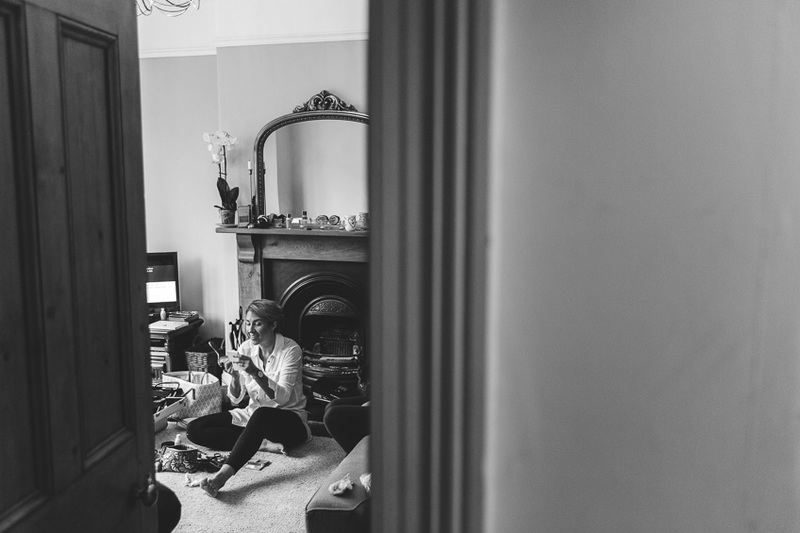 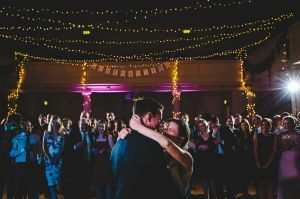 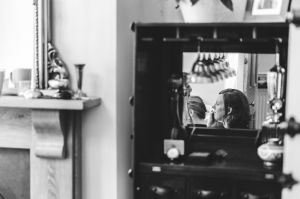 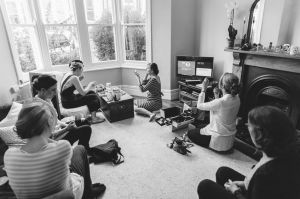 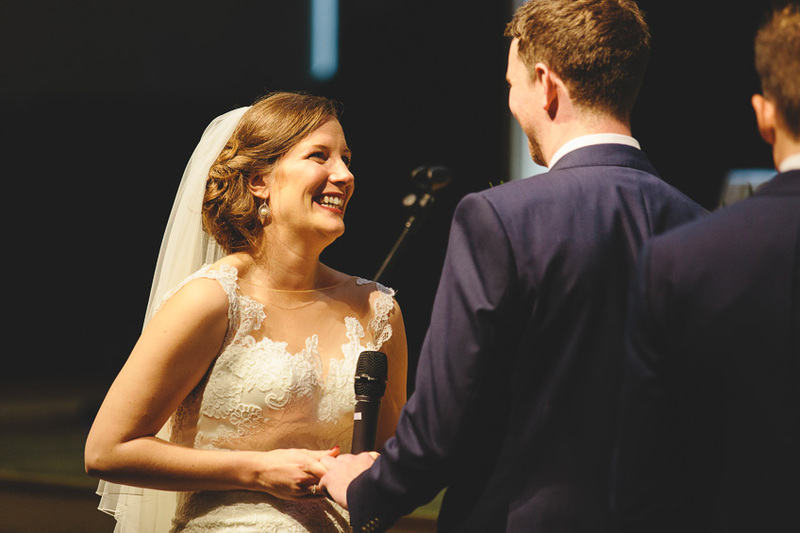 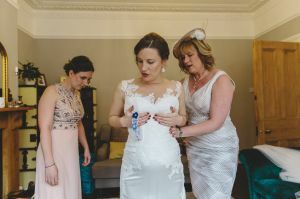 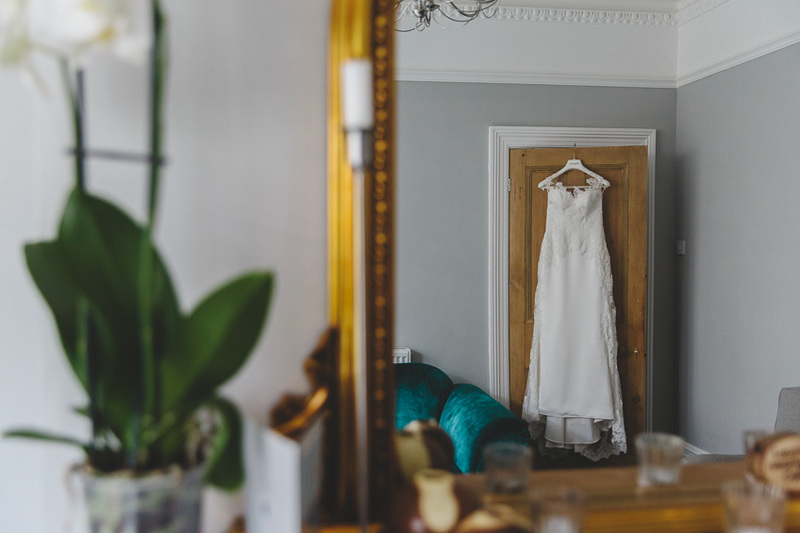 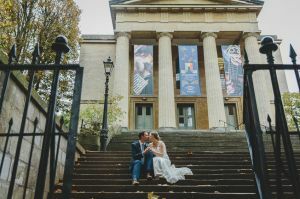 Laura & Mark’s St George’s Hall Wedding in Bristol is a day I’ve had in my back pocket for quite a while. 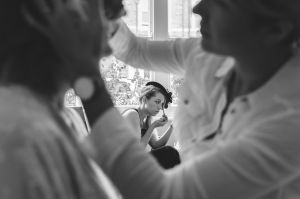 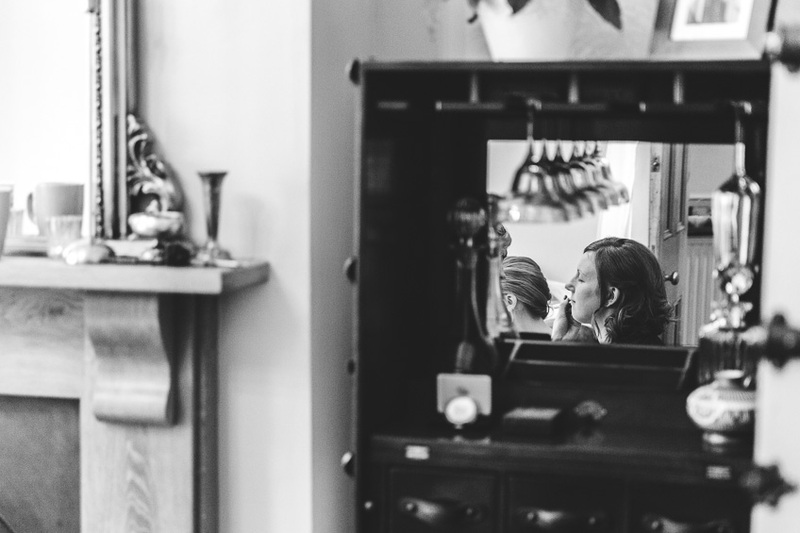 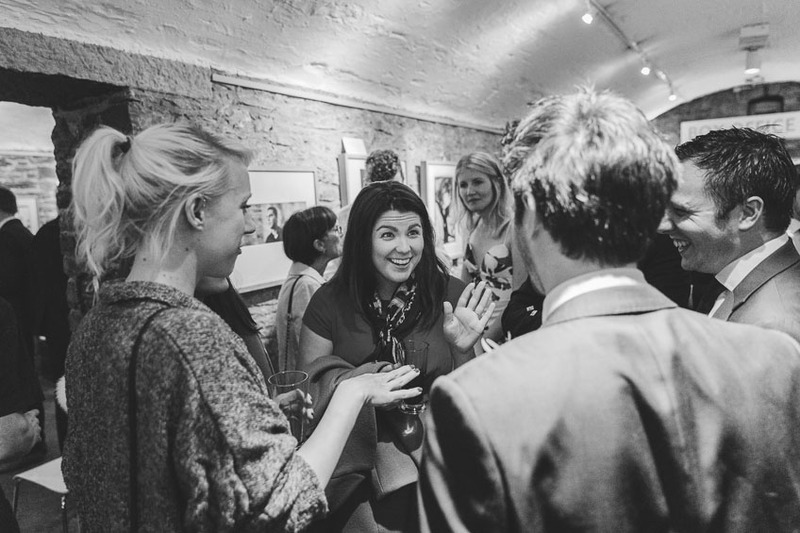 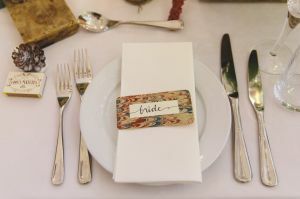 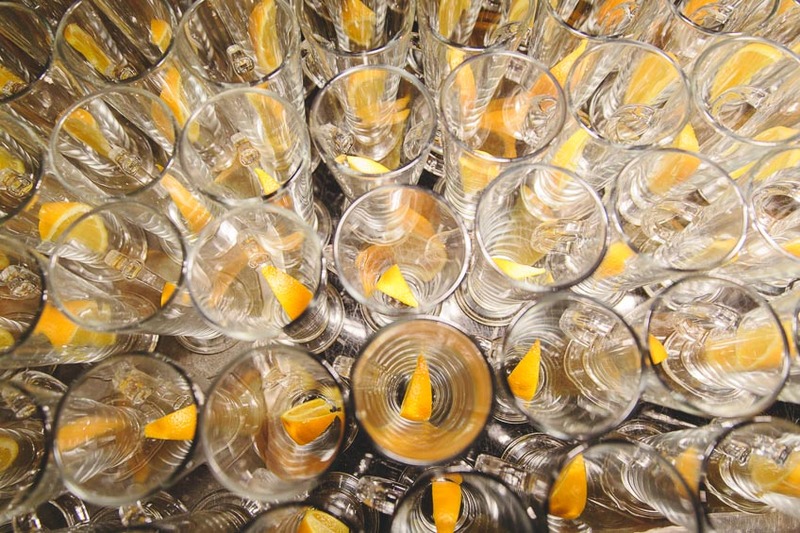 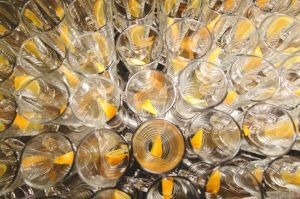 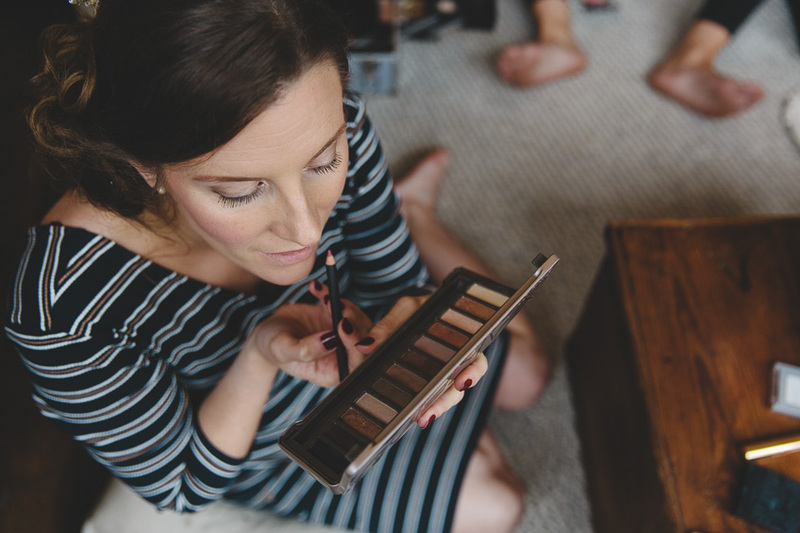 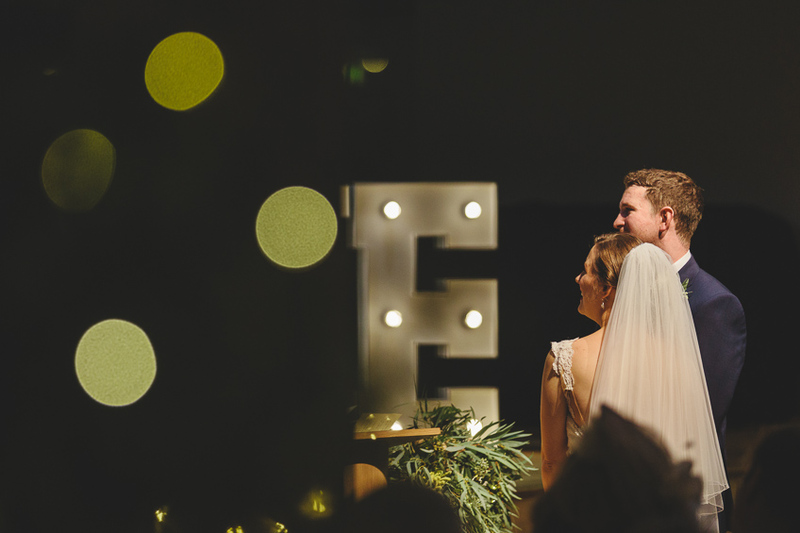 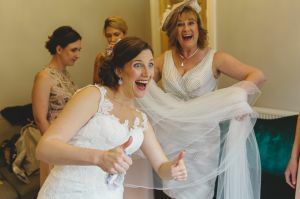 In fact I still have a number of weddings from last year I’ve been intending to blog. 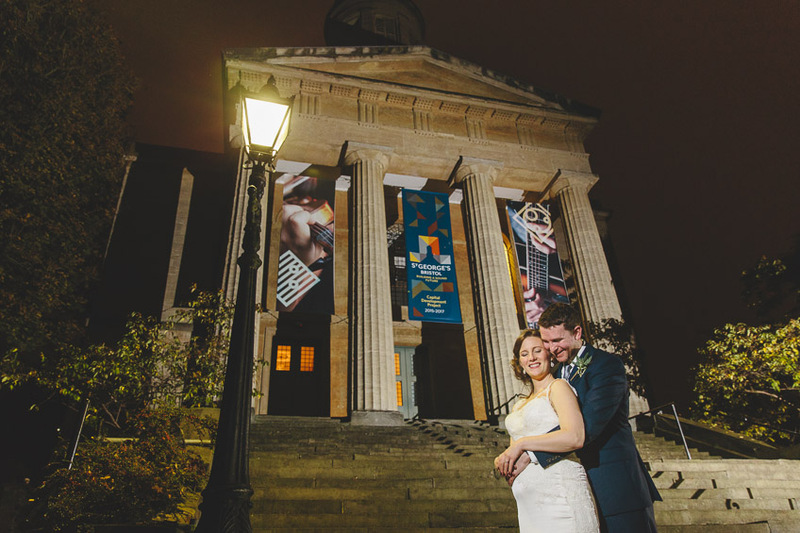 This one is from a cloudy but dry day in October. 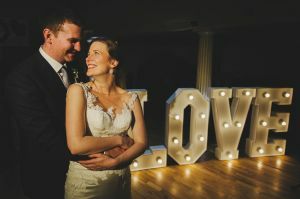 Laura & Mark are two of the most lovely people you could hope to meet. Both of them have a small hint of craziness bubbling beneath a respectable exterior – which I like a lot! 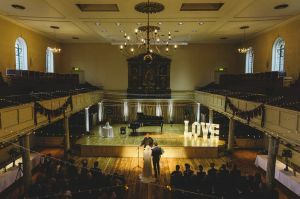 St George’s Hall is wonderful venue to hold your wedding. 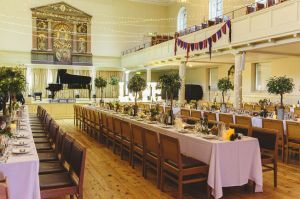 It has a huge grand hall with stage that you can put your own stamp on, along with a crypt bar downstairs. 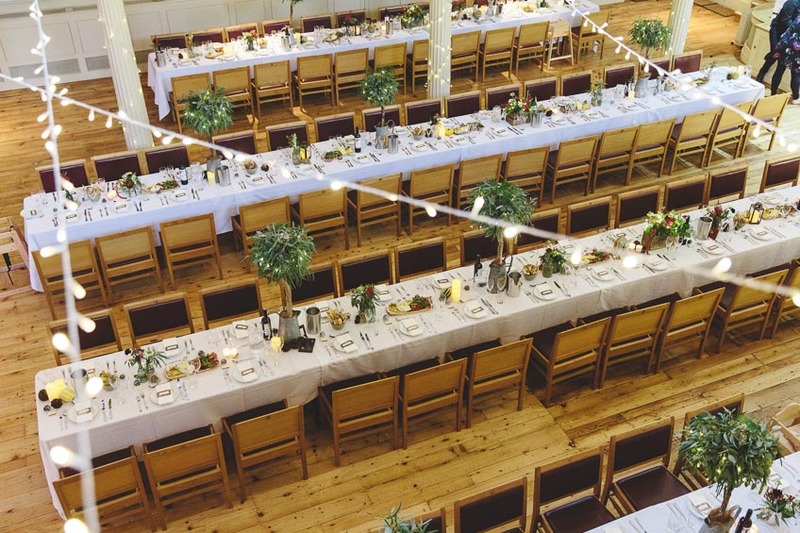 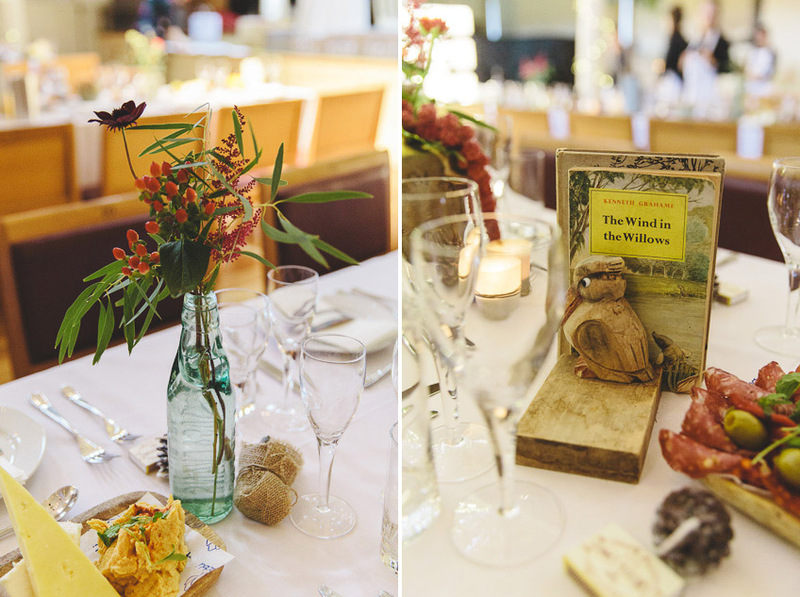 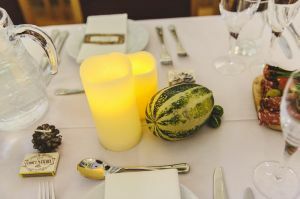 Incredibly, Laura did all the table settings and decorations herself. Doesn’t it look amazing?! You’ll see that there was a curious thing about knickers going on during the day which I didn’t really get to the bottom of – pardon the pun. There was a nice morning buzz at the house when I arrived for the preparations with the girls. 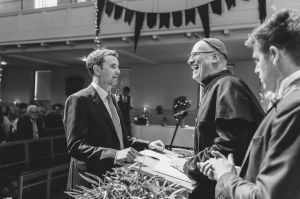 From there it was over to St George’s to meet Mark for the ceremony, which was brilliantly conducted with great humour by a family friend. 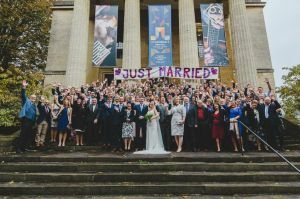 They organised a fabulous group photo on the steps of the hall, and the speeches and party were awesome! 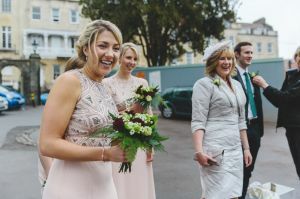 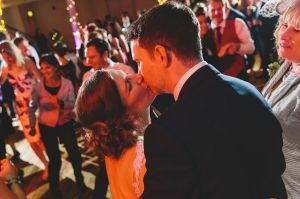 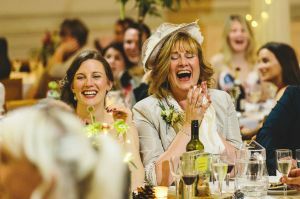 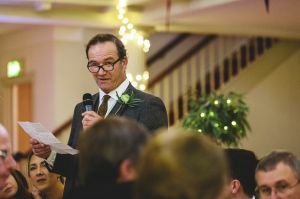 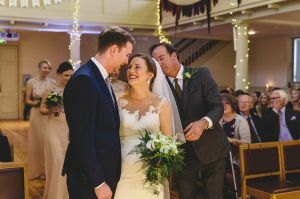 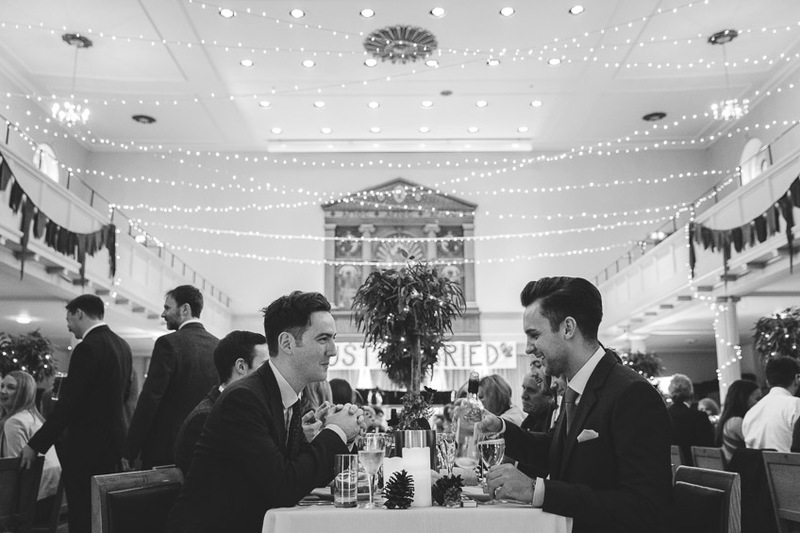 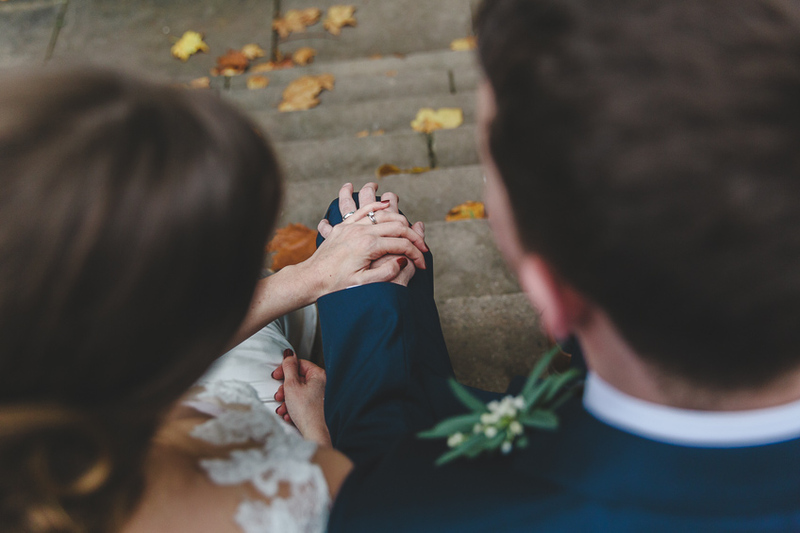 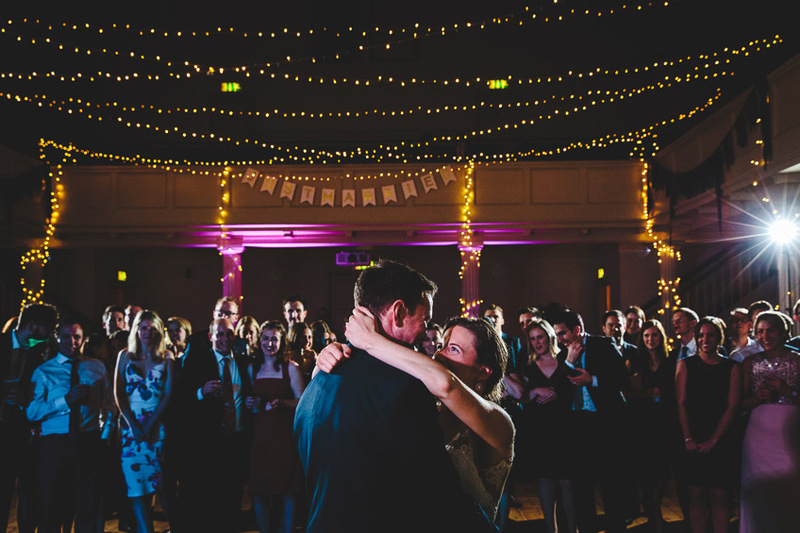 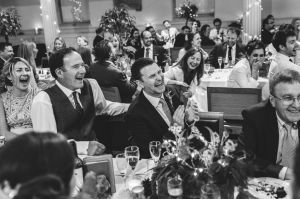 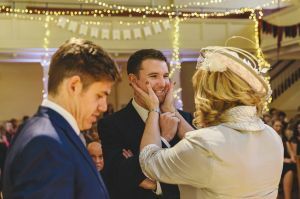 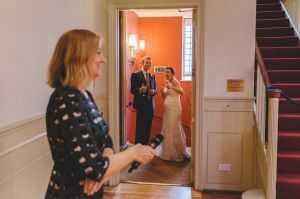 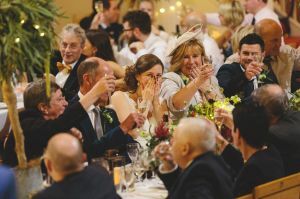 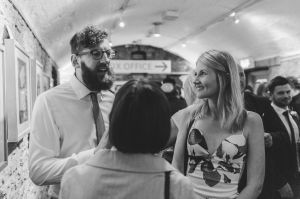 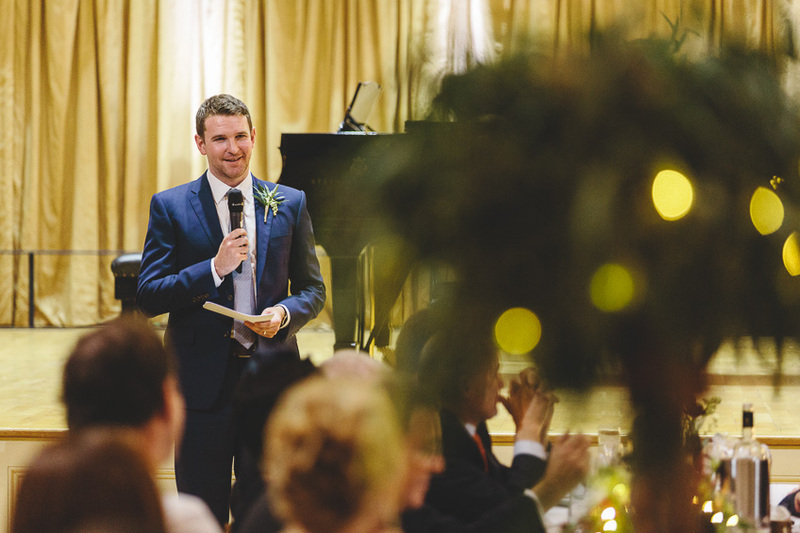 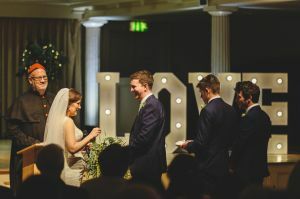 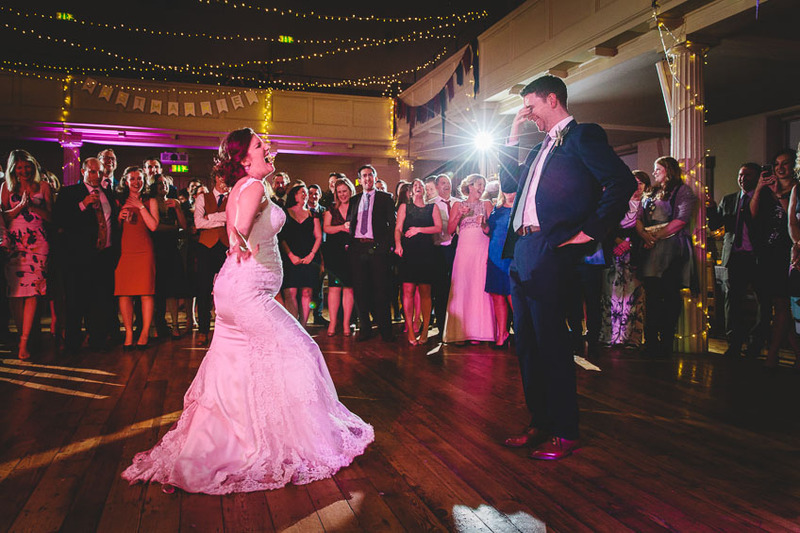 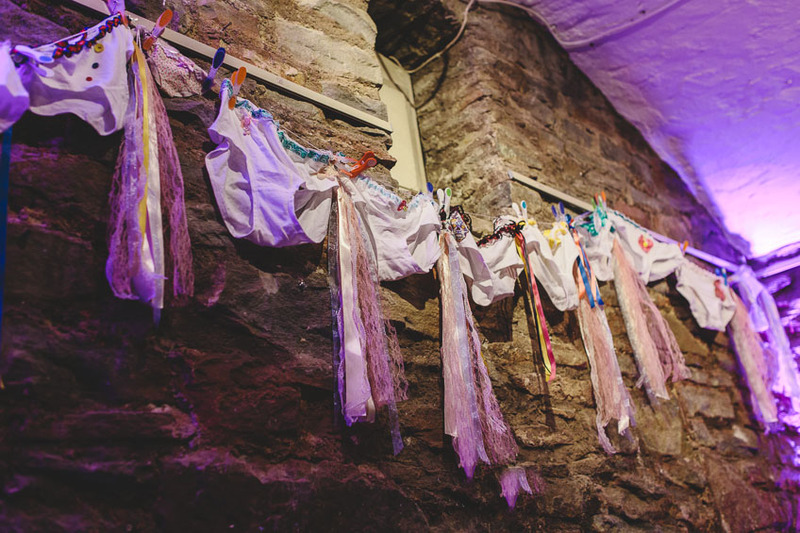 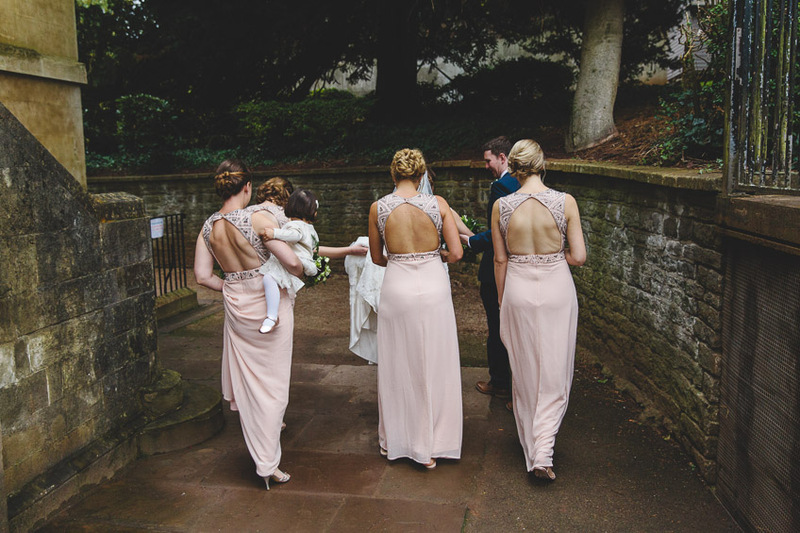 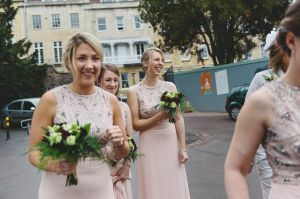 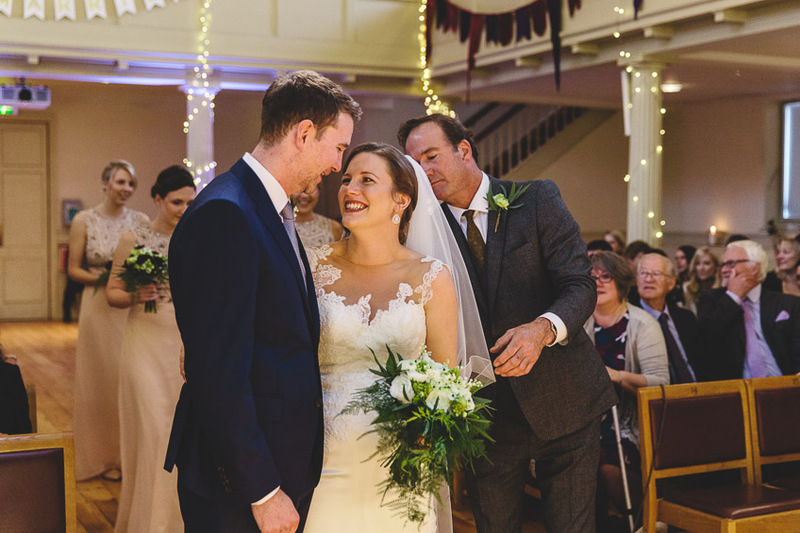 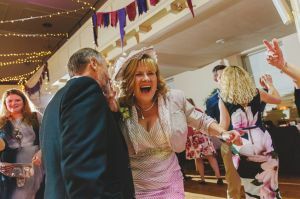 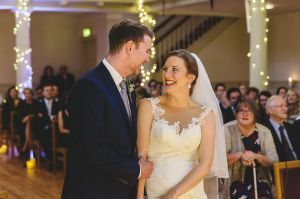 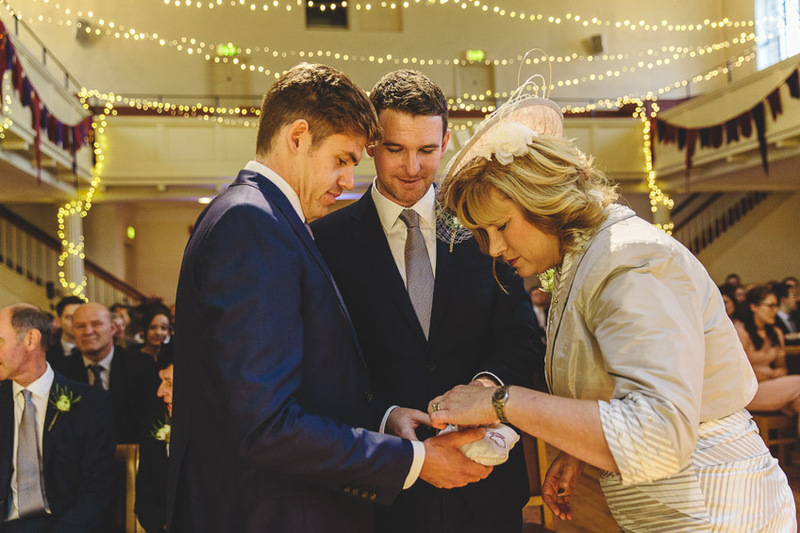 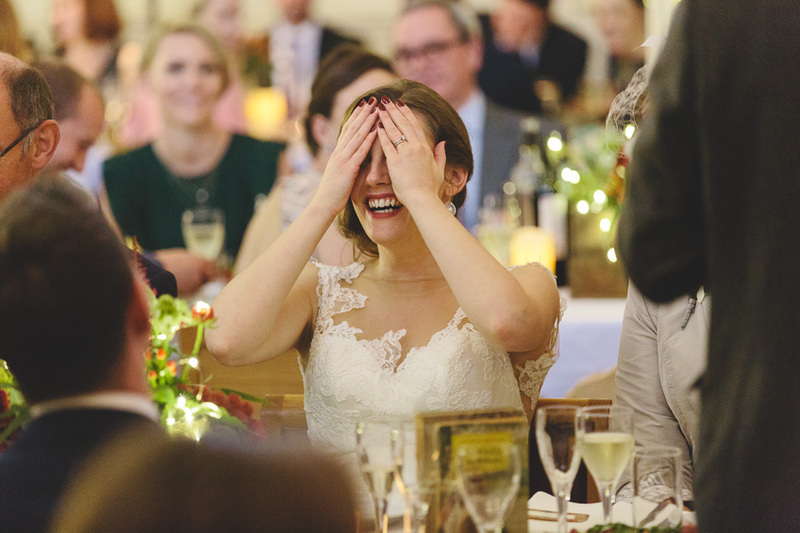 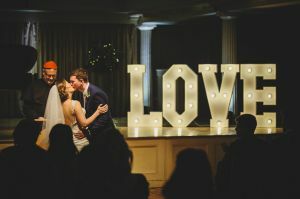 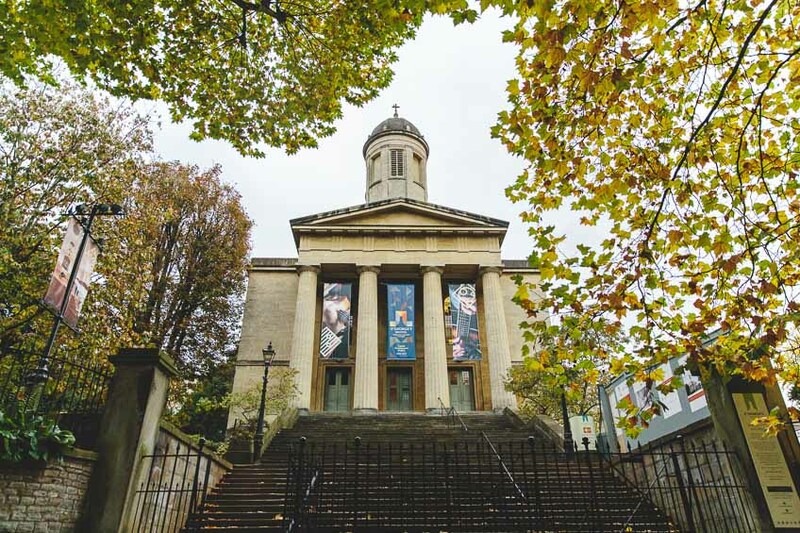 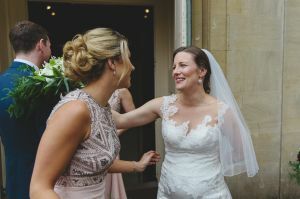 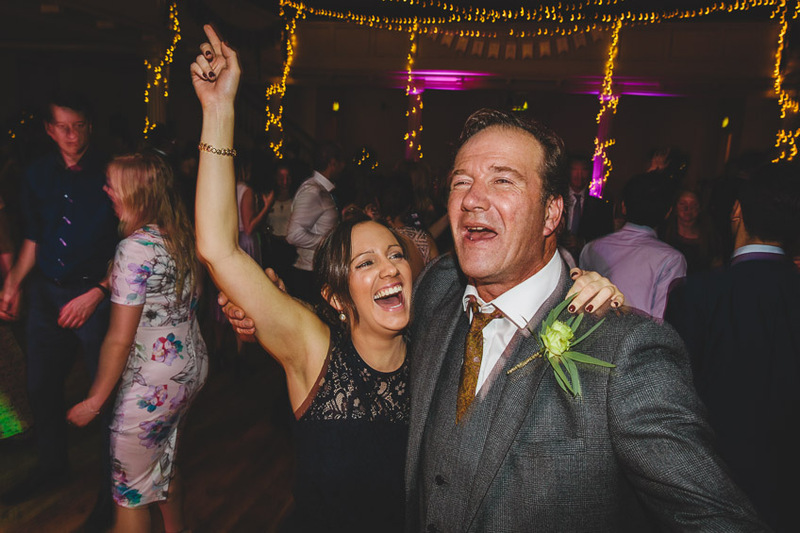 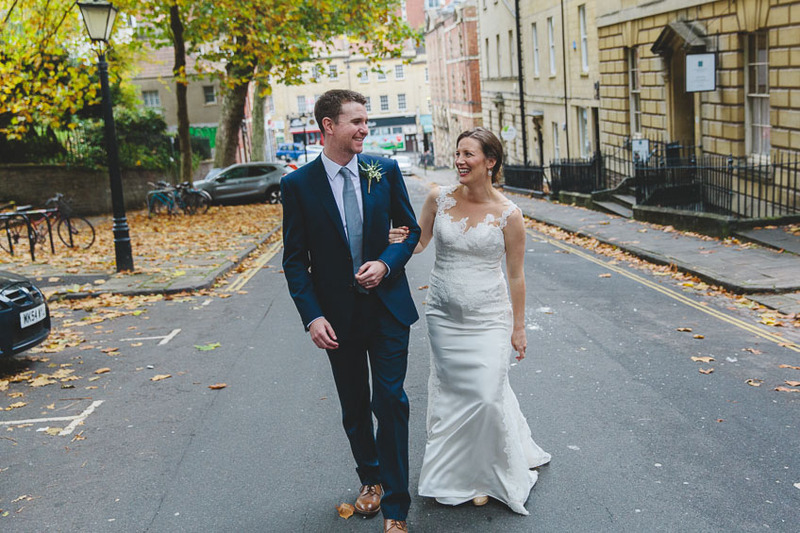 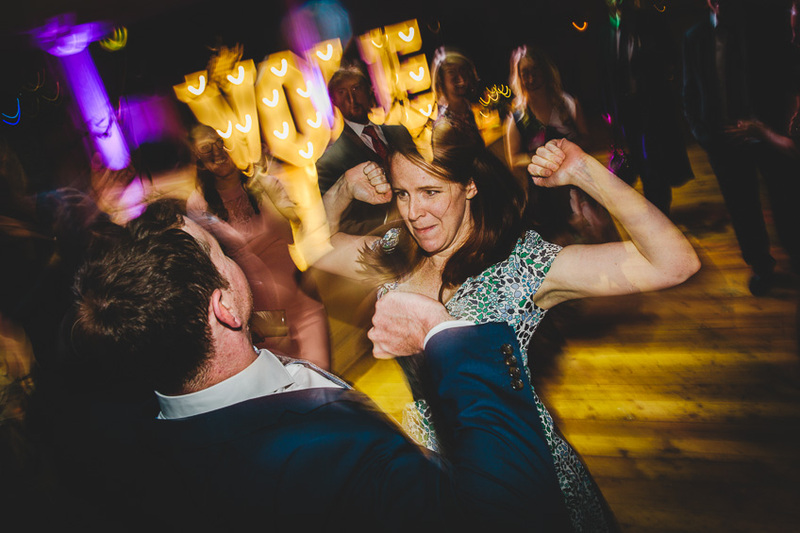 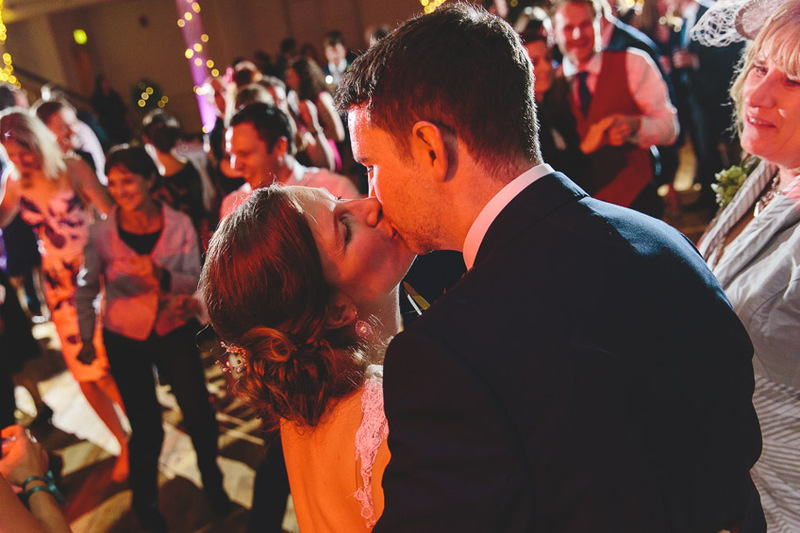 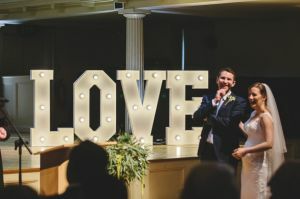 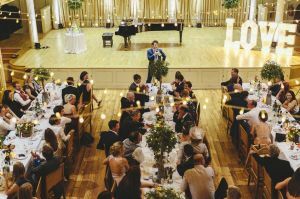 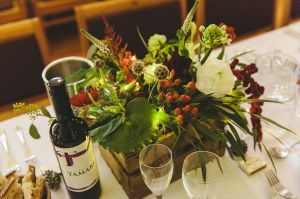 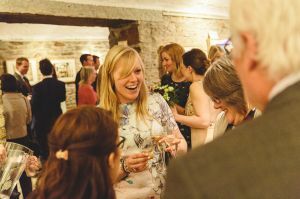 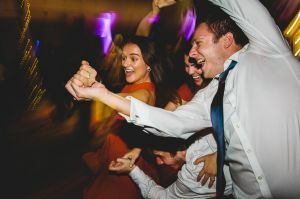 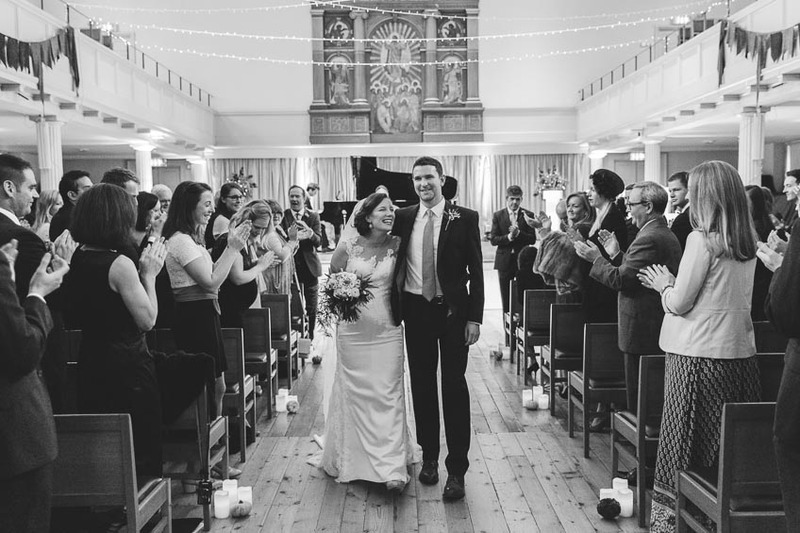 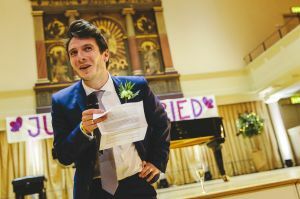 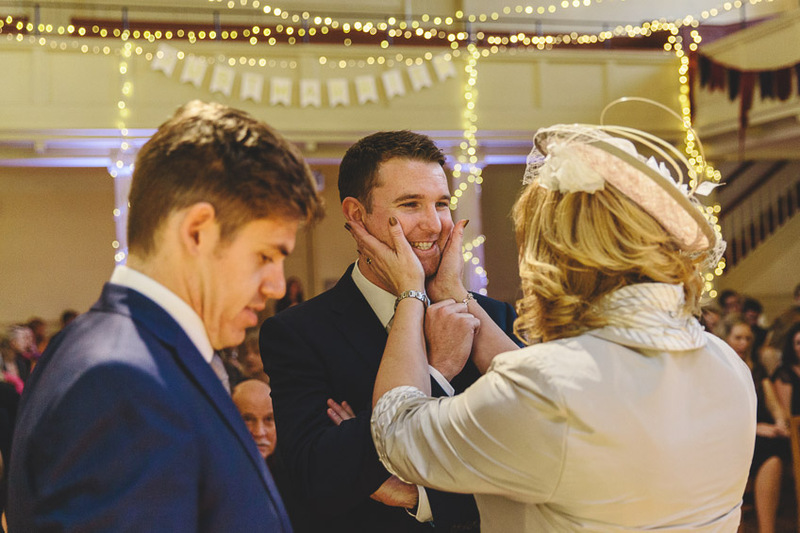 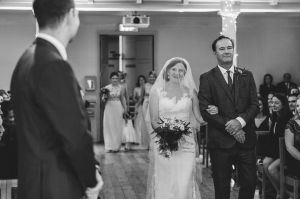 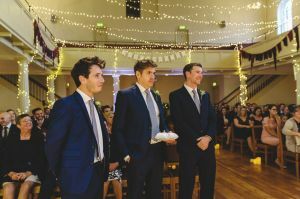 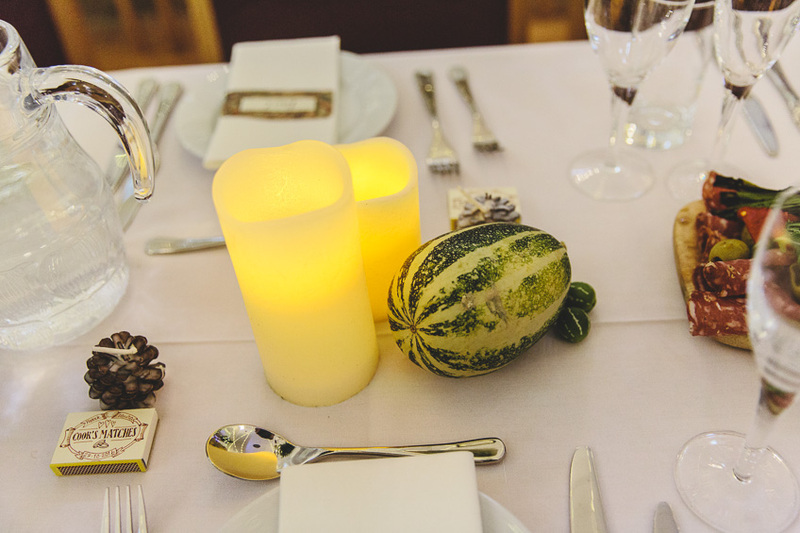 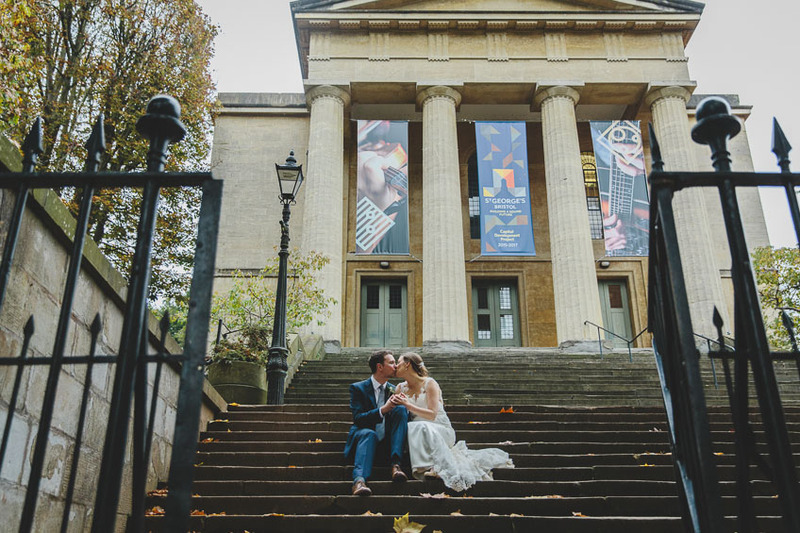 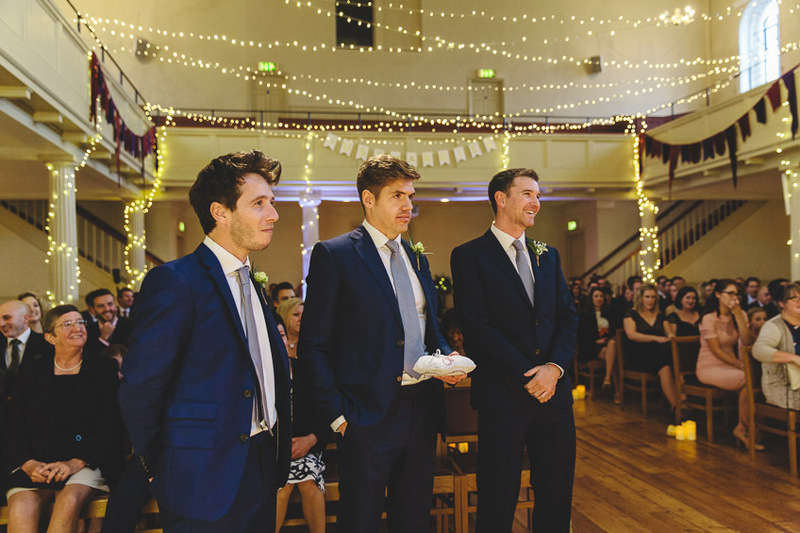 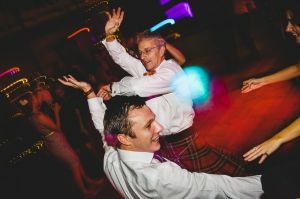 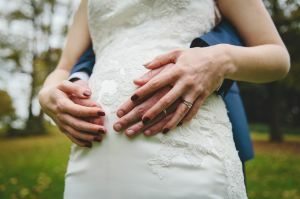 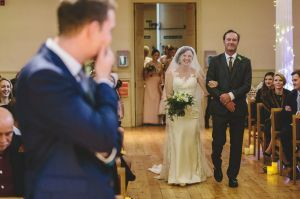 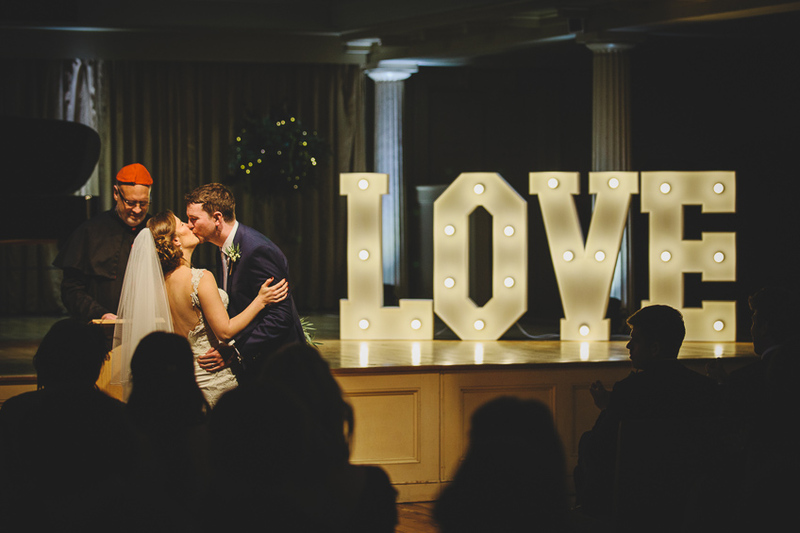 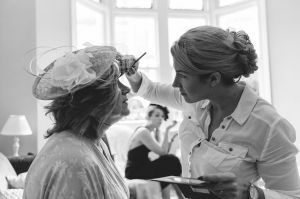 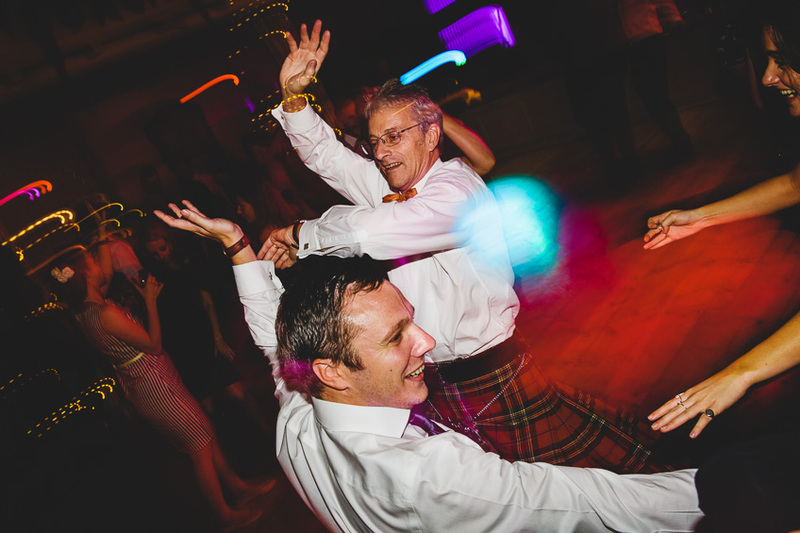 This entry was posted in Weddings and tagged Autumn Weddings, Bristol Wedding Photography, Bristol Wedding Venues, City Centre Weddings, St George's Hall.